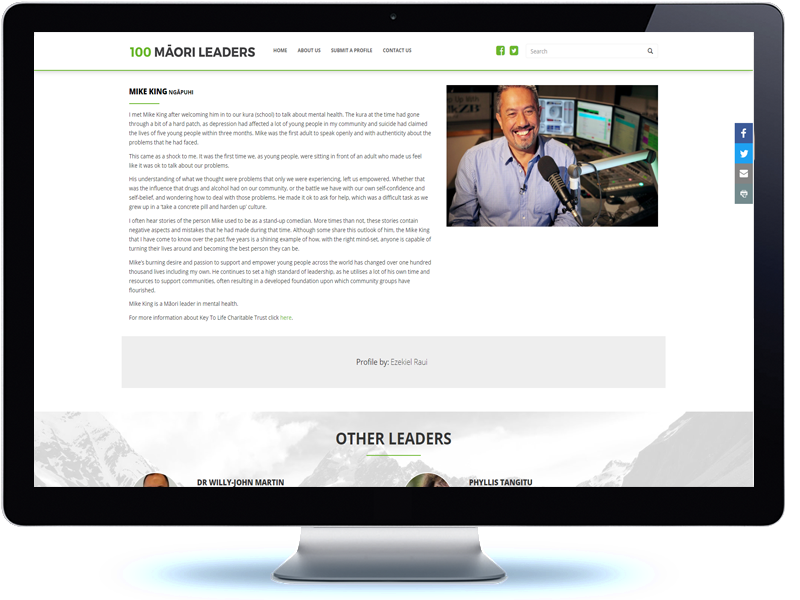 100 Māori Leaders is part of the Henry Rongomau Bennett Foundation, Leadership strategy. 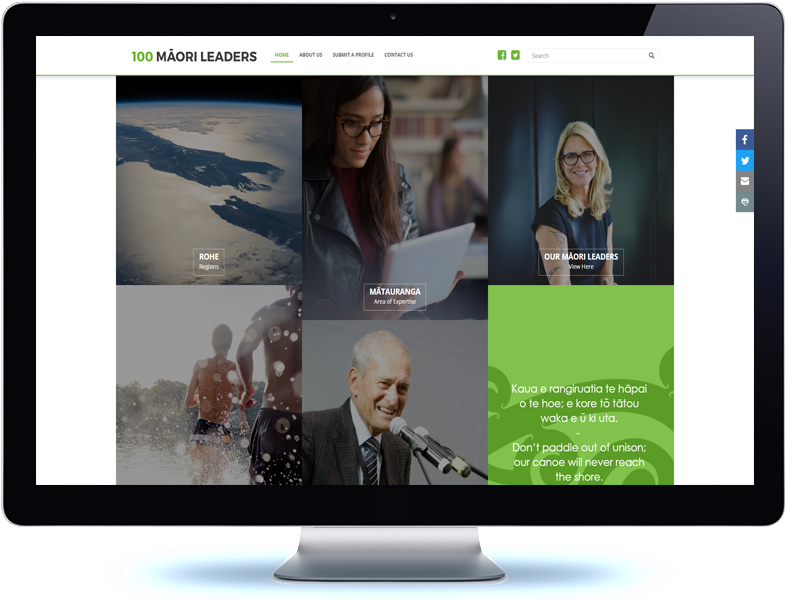 The team at Te Rau Matatini approached the Koda team to develop a design that aligned with the importance of the site and content while offering an engaging user experience, the result is this website. 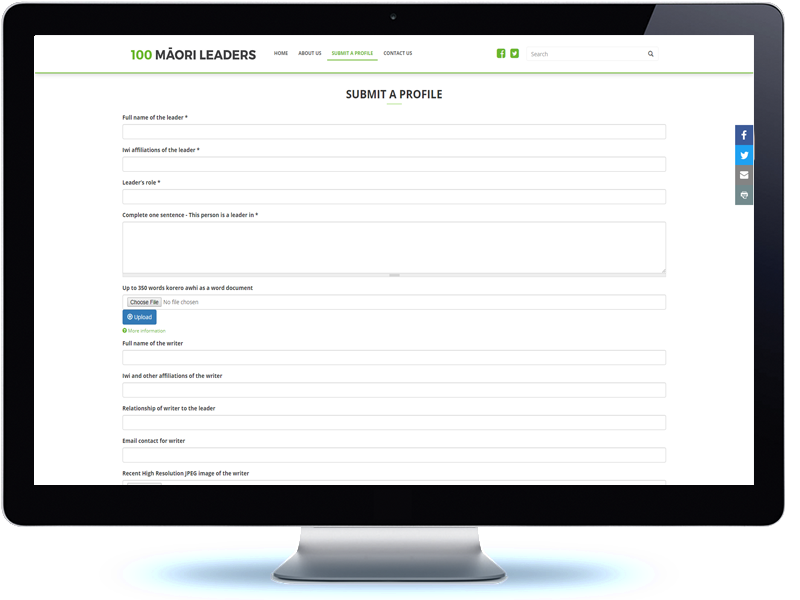 The website identifies Māori leaders of today who influence and contribute to Māori health and wellbeing. It identifies Māori at the top of health career pathways, to inspire the Māori health workforce and generate interest from others to look at careers in health.